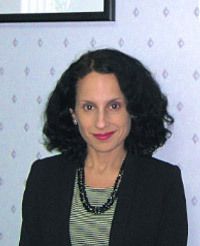 Deborah C. Sturm graduated from the State University of New York at Binghamton in 1997 with a B.A. degree in Philosophy, Politics & Law as well as Spanish. She then went on to receive her Juris Doctorate in 2000 from Albany Law School where she had the title of Associate Editor of the Albany Law Journal of Science and Technology. While in law school, Ms. Sturm worked at the New York State Attorney General's Office in Albany and for the U.S. Attorney for the Northern District of New York. She has extensive experience in civil litigation, with her primary focus being medical malpractice. Prior to joining Wagner, Doman, Leto & DiLeo, P.C. in 2014 she spent over 13 years successfully representing numerous hospitals in the New York metropolitan area, medical practices and physicians of all types. Over the years, she has also defended premises liability cases for hospitals and other private landowners as well as construction defect cases for contractors. She also has helped run several small businesses over the years.